Pixies in Montreal or Quebec City? Inform me about the next events for Pixies. Enroll yourself to our priority waiting list for Pixies to be alerted when new tickets are available. Filling this form doesn't engage you to any purchase. The Pixies are coming to Montreal for a concert at the Metropolis, on September 27th, 2017. Bassist and founding member Kim Deal is not part of the band anymore, but rest assured that Frank Black and the rest of the crew can still put together one hell of a rock'n'roll show ! 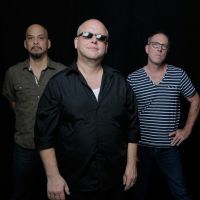 After many years off, The Pixies released two new full-length records: Indie Ciny in 2014, and Head Carrier in 2016. Don't miss the return of the Pixies in Montreal in September !